Come home to play at Champions Pointe in Henryville, Indiana. A golf and recreation community, Champions Pointe offers new custom and villa golf homes in Southern Indiana from the mid $200s. Home to the Champions Pointe Golf Club, new homes in Champions Pointe enjoy beautiful golf course, lake, and wooded views, treed homesites, fishing in neighborhood ponds, walking and biking trails, and an outdoor pool with splash pad. “Our Champions Pointe villa golf model home, the Lynford, is a gorgeous, well appointed model home.” said Adam Weaver, Director of Sales for Infinity Homes. “Decorated in a Joanna Gaines, Fixer Upper inspired style, the Lynford demonstrates single level living with 3 bedrooms, and “living large” open design concept, and an incredible view of Champions Pointe,” Weaver continued. Directions to our golf course homes: I-65 to exit 16, go 1.8 miles west to Champions Pointe on right. Turn into Champions Pointe & go to T then turn right. 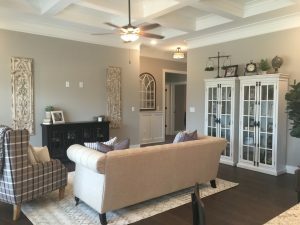 Model Home Hours: Weekdays from 11 a.m. 6 p.m.
Saturday and Sunday from noon to 5 p.m.
About Infinity Homes: With over a decade of home building experience, Infinity Homes builds new homes in Southern Indiana and the greater Louisville, Kentucky area. Known throughout the area as “The Neighborhood Builder”, Infinity Homes builds award-winning homes for award-winning lifestyles. Offering a wide variety of home styles, price ranges (starting in the low $200s), and communities, Infinity Homes is pleased to have been selected as the 2018 and the 2019 home builder for the Louisville St. Jude Dream Home Giveaway.  For further information contact Infinity Homes & Development, 812-590-1270.